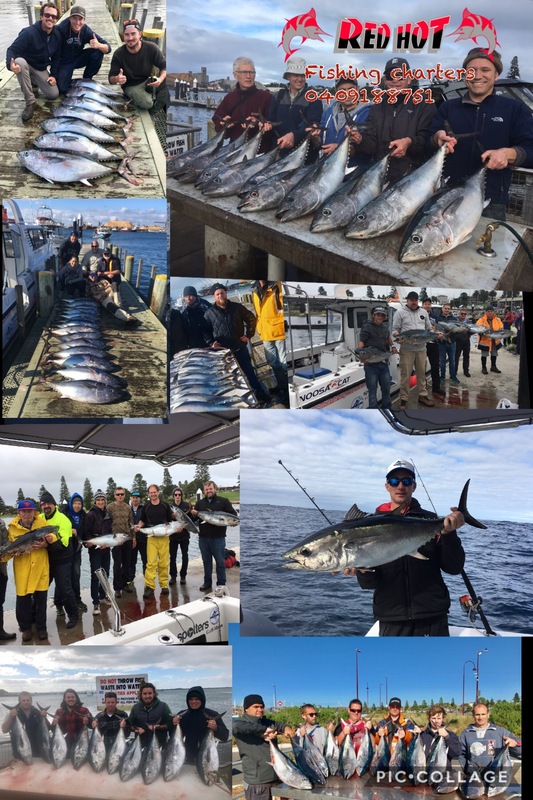 Another Tuna Season is here and Portland is set to keep firing with great numbers of Bluefin Tuna we have been catching them since January and they are very consistent already and we are only just into April. 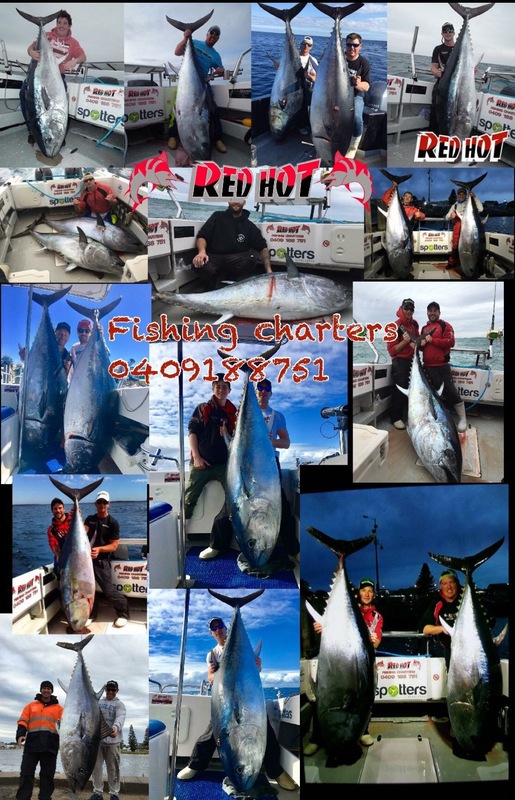 Call captain SIMON RINALDI ON 0409188751 to get your Tuna Fishing Charter booked in. 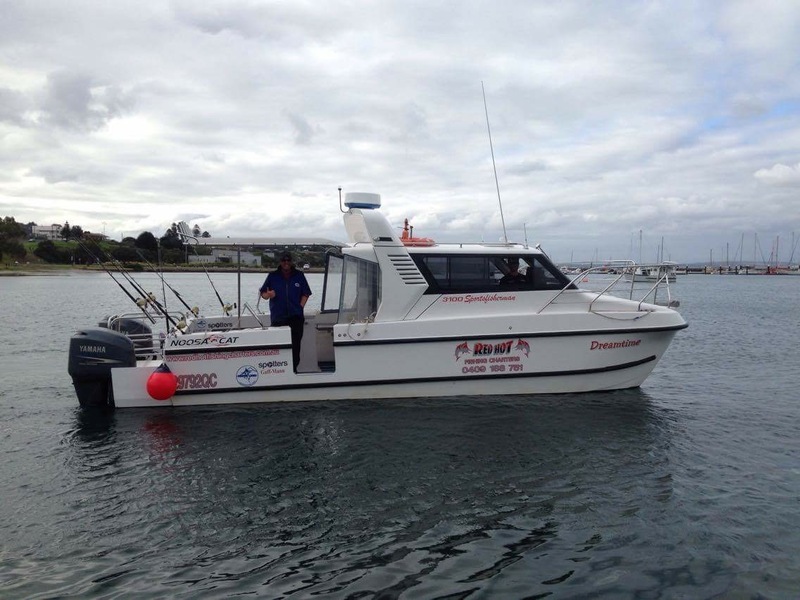 Our vessel DREAMTIME is a 3100 sportfishermen built by Noosa cat it’s in current AMSA 2C survey for 10 passengers +2 crew in the ocean and bays. 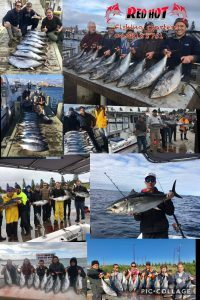 It’s a state of the art sportfishing charter boat with seating inside a comfortable cabin for 9 people so everyone stays warm and dry. It has a table. To sit at to eat your lunch/dinner etc. we have a fully separated toilet room with electric flushing and fresh water hand basin and a over head shower. Come and join us onboard our sportfishing weapon the comfort and enjoyment onboard DREAMTIME is second to none. 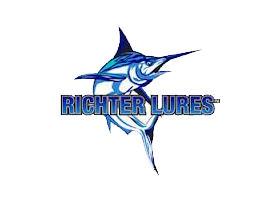 Red Hot Fishing Charters are well known for getting you to the right spots to catch your dream fish. Wether it’s a Port Phillip Bay Snapper or a monster PORTLAND SOUTHERN BLUEFIN TUNA. 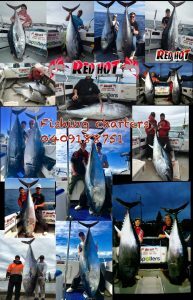 Red Hot 2 is a custom built plate aluminium charter boat and has been built very strong for the southern ocean. Red Hot 2 is in current AMSA 2d &2c survey for 8 passengers, it has a huge large deck with a large rooftop to keep you out of the sun and dry from the rain it has large side clears that zip down to keep everyone warm and dry, all safety gear is current to meet the national system. – We have the very best electronics onboard Red hot 2. – Our fish finder is a latest model Furuno 588 with a 1kw transducer to help pin point your prized catch. – Our GPS is a Lowrance HDS 12 with added safety of a Radar and has thousands of our gps hot spots logged in it saved from 35 years of fishing experience. – 27 meg and vhf radios onboard for communication between other vessels and back to land. – A toilet is in the front cabin behind a closed door. 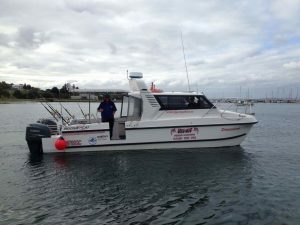 – We have the big electric anchor winch so making moves during our snapper charters is done in no time at all. 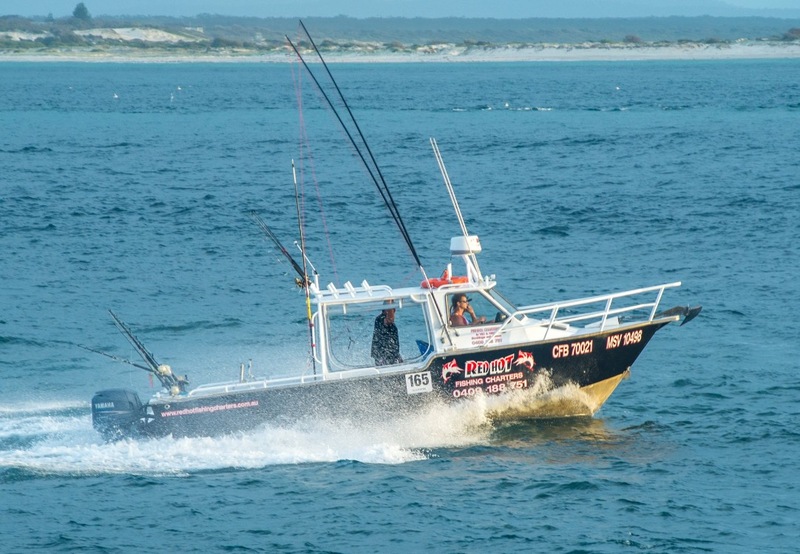 – Red Hot 2 is powered by twin Yamaha four stroke outboard engines with no fumes and very quiet during running, it is a very stable and soft riding boat that can reach the fishing hot spots in no time.